Gionee a new born smartphone and tablet dealer in the Philippines. Gionee GN708 will be our first post here in mobile31. 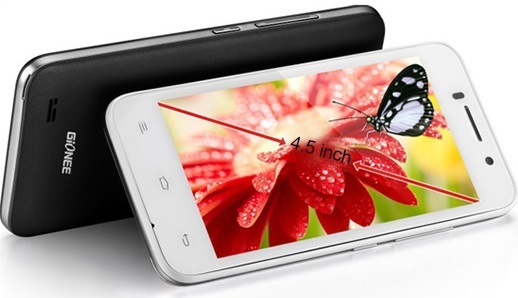 Luckily, Gionee GN708 is also the first Quad core smartphone of Gionee. Delivering a new level of competition in the Philippines, Gionee GN708 is packed with 1.2GHz quad-core MediaTek MT6589 processor, and 1GB RAM which is necessary for quad core smartphones, what's the use of fast processor if your RAM can't handle the multi tasking. Camera of Gionee GN708 is not also to be laugh at, with 8MP autofocus BSI camera with LED flash, surely making it a high-end smartphone, and not to mention the 1MP front camera. Since Gionee is newly emerge smartphone industry in the Philippines, they will be giving lots of freebies for every purchase of Gionee GN708. Priced at Php11,999 SRP, and available now on authorized stores nationwide. Provided below the list of mobile market where you can purchase Gionee smartphones and tablets. What can you say about Gionee GN708? If you happen to have this smartphone, kindly share your experience with us! Thanks.